GBP/USD has posted considerable gains on Monday, erasing the losses seen on Friday. In North American trade, the pair is trading at 1.3094, up 0.60% on the day. Earlier on Monday, the pair touched a low of 1.2961, its lowest level since February 19. In economic news, there are no British indicators. In the U.S., retail sales rebounded in February. Core retail sales sparkled with a 0.9% gain, up from -1.8% in January. Retail sales improved to 0.2%, compared to -1.2% in the previous release. Both indicators beat their estimates. On Tuesday, the U.S. releases CPI numbers. All eyes will be on the British parliament this week, starting with a vote on the government’s withdrawal agreement on March 12. With no signs that this proposal will be different than the one which was shot down in parliament in January, the vote could turn into an embarrassment for the May government. 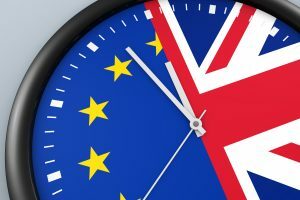 If lawmakers vote down this proposal, they will vote the next day on two separate proposals – one on a no-deal Brexit, and the second on requesting the EU to extend Article 50 and delay Brexit past March 29. With all the uncertainty surrounding the drama in parliament, traders should be prepared for volatility from GBP/USD. In the U.S., there was a surprisingly low reading from nonfarm payrolls. The indicator showed that the economy eked out just 20 thousand jobs, much worse than the forecast of 180 thousand. On a brighter note, wage growth improved to 0.4%, above the estimate of 0.3%. Despite the weak NFP report, the pound could not take advantage and posted losses on Friday, capping a week in which GBP/USD dropped 1.4%. Previous Previous post: What’s The Maximum Amount You Can Contribute To Your CPF Accounts Each Year?